Did Shepard Smith divorce Virginia Donald because he was gay? Dating Giovanni Graziano? Did Shepard Smith Divorce Virginia Donald Because He Was Gay? Dating Boyfriend Giovanni Graziano? 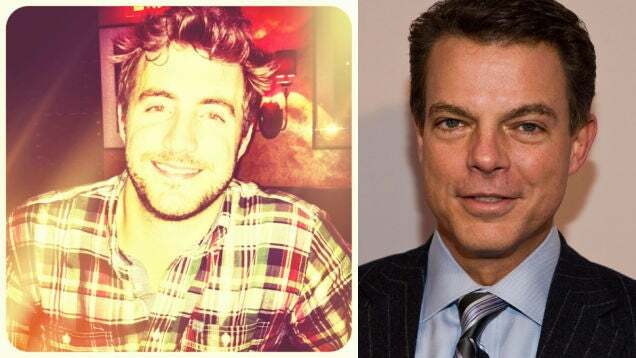 The short-tempered but insightful FOX News reporter Shepard Smith is reportedly dating a 29-year-old hunk. 52-year-old Smith is said to have already known his sexual orientation when he married his college girlfriend more than two decades back. But he was discouraged to come out of the closet by his network. Well, what about him in the present? Is he dating somebody or is already married? Get all the details about his love affairs and relationship. The news about the gay affair of Shepard Smith broke out when a reputed website published an article back in 2013 reporting that Smith was dating Giovanni Graziano. But who is Giovanni Graziano? According to the Linkedin page of Graziano, 29, he has had numerous jobs at Fox News. He started as a summer intern in 2008, before moving up to become Production Assistant for Shepard Smith’s show FOX Report With Shepard Smith. Then in 2012, Graziano moved from Shepard Smith’s show to Varney & Co. It was reportedly done to avoid any potential “conflict of interest” for Smith to date a subordinate. Currently, Graziano is an Assistant Producer for the same network. Shepard Smith and Giovanni Graziano have been sighted numerous times together in different bars and sports lounges around New York. A waitress of one of their popular hangout has even confirmed that the two were romantically involved. And it has been more than four years that they have been dating. So maybe we can expect to hear the wedding bells soon? In an interview with Dailymail on March 16, 2018, went candid about his relationship with Giovanni. Speaking to Dailymail, Smith mentioned being happy in a relationship with his boyfriend also mentioned that he feels no shame talking about it. I have a longtime boyfriend and we're as happy as we can be,' revealed Smith. 'We live a very normal life and go to dinner and go to games and see his family and see my family. Shepard Smith Divorced His Wife Because He Was a Gay? Back when Shepard Smith was studying journalism at The University of Mississippi, he had a girlfriend, a fellow classmate, Virginia Donald. They dated for a couple of years and got married in 1987. The duo didn’t have any children nonetheless all seemed to be fine with them. But after 6 years, they decided to break up their marriage. The reason was not disclosed then but coming to think of it now, it was probably because of Smith’s sexual orientation. He must have figured out he was gay. But owing to the conservative society, Smith decided not to come out of the closet publicly at that time. Three years ago, Shepard Smith was said to have been ready to announce his sexuality to his viewers in a segment of his show. But the then FOX News CEO Roger Ailes denied going on board with such an announcement. CEO Ailes is said to be a homophobe (along with allegations of him being a sexual predator). Ailes reportedly cited the reason for discouraging such an announcement was the conservative fan base of the network. Well, Shepard Smith is yet to comment on all this scandal and rumors surrounding him, but we sure do hope that the future days be brighter for our endearing host, Shepard Smith. Easy life of Alex D. Linz and her success in movies, "Secret behind it". Melissa Francis family and progressive career. Who is Melissa's Husband?